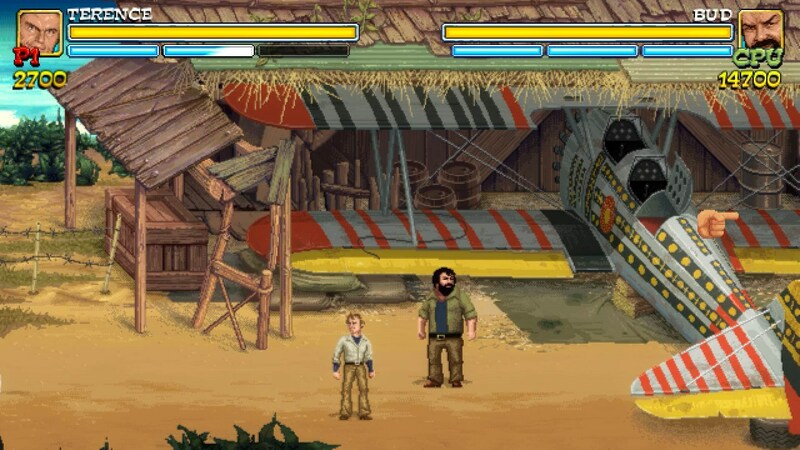 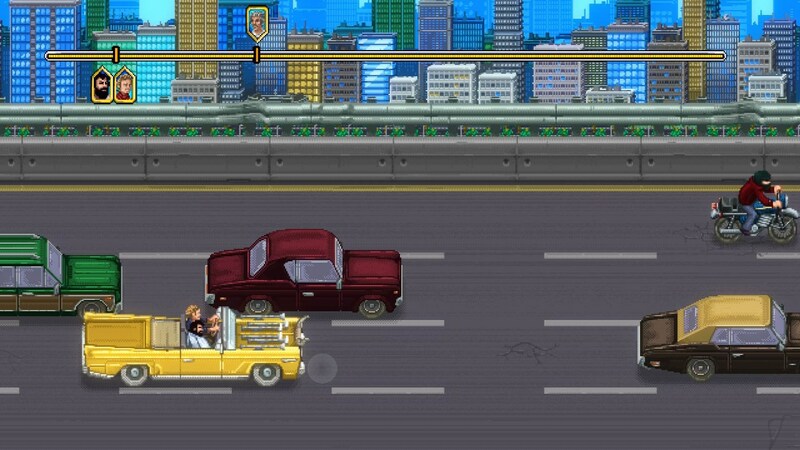 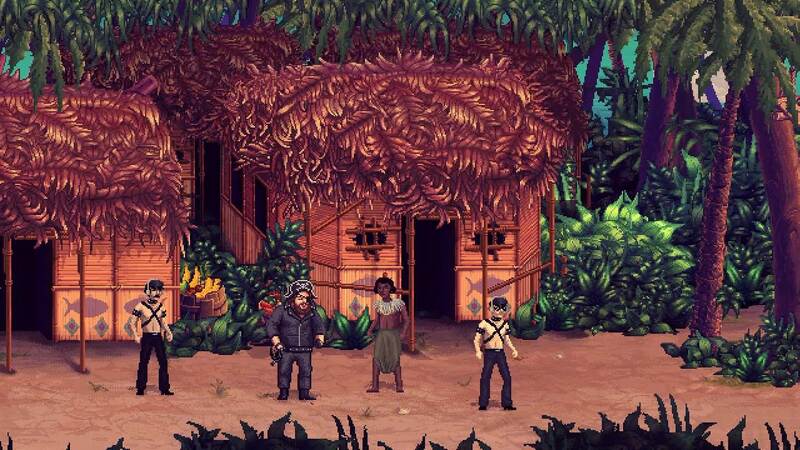 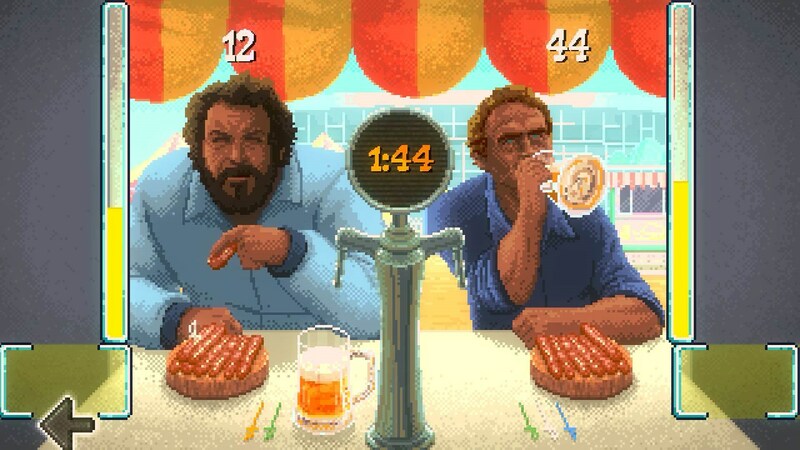 Bud Spencer and Terence Hill in their first virtual adventure. 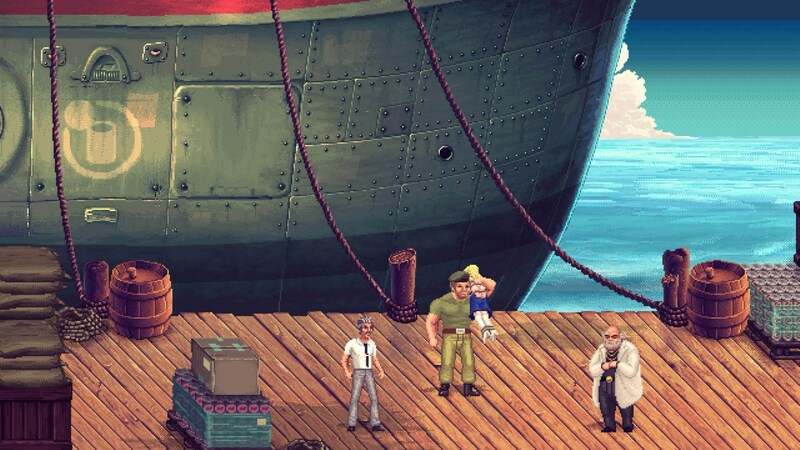 A brand new story! 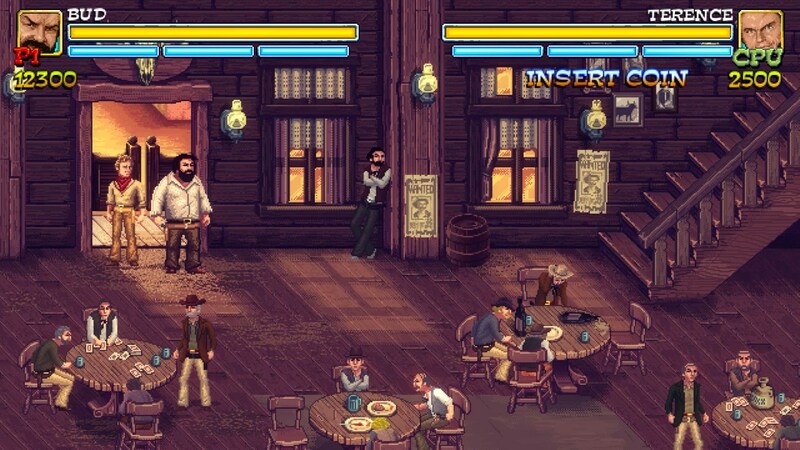 Whether in the Western Saloon, Miami Downtown, at the fairground etc... you&apos;ll get the full load of funny conversation, slaps and of course lots of mass brawls. 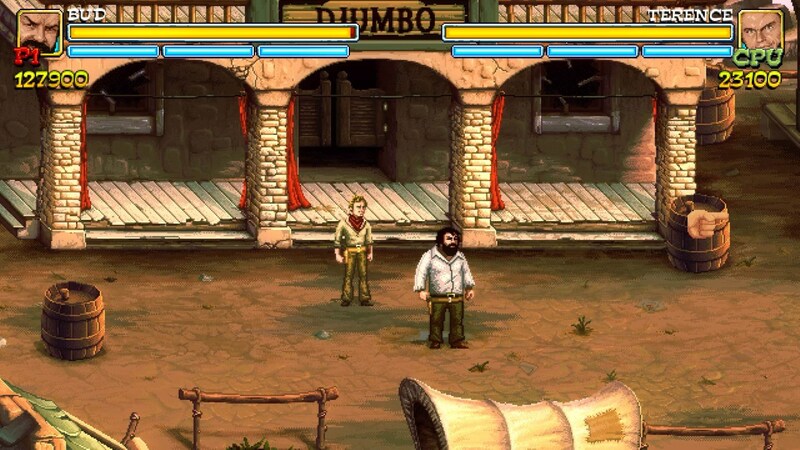 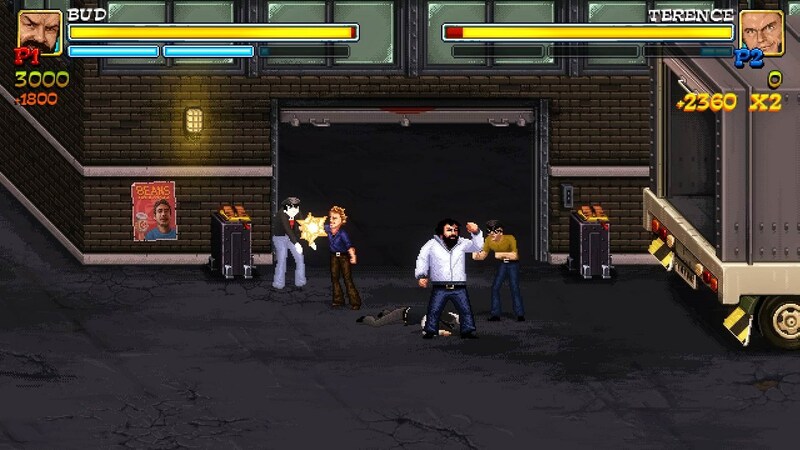 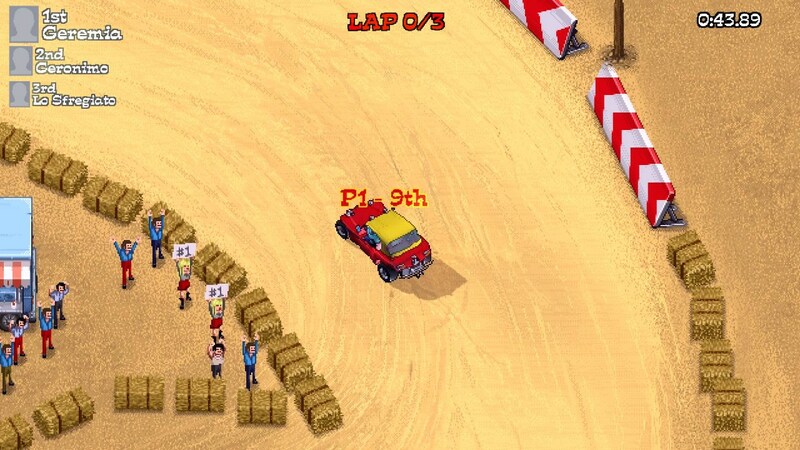 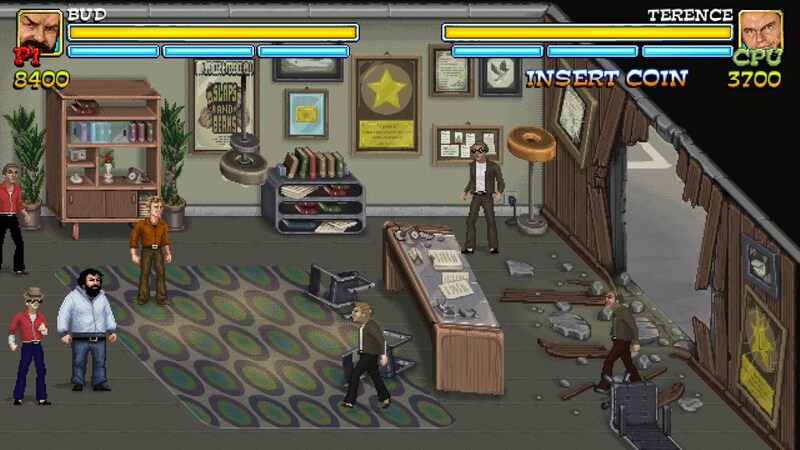 Slaps And Beans is a co-operative or single player scrolling beat’em up game with the addition of platform elements and mini-games in which you&apos;ll interpret the characters of Bud Spencer and Terence Hill.